Let’s give you some (very, very vague) facts about the footage that fans have witnessed during a special fan event in London. 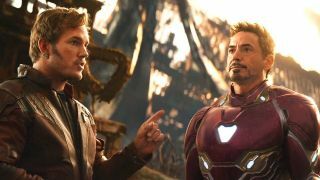 It’s 30-minutes long, involves Iron Man, Spidey, Doctor Strange, Thor, and the Guardians – and takes place in two different locations. Marvel hitmen, stand down. I haven’t spoiled anything! There you have it. If you were worried about 1) The MCU humour falling by the wayside and 2) The movie feeling like several separate films that don’t quite work together then you can rest easy. Just going by the people who attended, it has jokes in spades and you can clearly tell they’re bursting out the seams wanting to divulge any and everything that was so brilliant about the clip, but, y’know, #ThanosDemandsYourSilence. We’re heading into the final stretch: are you ready? If you’ve been following along with our MCU recap, you sure are. If not - what are you waiting for? !